Being lucky to have a pup in your life comes with a certain responsibility. As a dog owner, taking care of your dog’s health is one of the most important things to do. Often, dog owners don’t even know that some minor changes in a dog’s behavior might indicate a temporary health issue such as dog influenza, but also a serious illness like diabetes. Since our four-legged pals cannot talk and tell us how they’re feeling, we have to pay attention to how our dog behaves. Any irregularities might help in determining if your dog is healthy or not. From the most benign ones like appetite loss, decreased thirst or fast breathing, to more indicative ones such as panting and shaking, vomiting or coughing. We talk about most common dog health issues out there such as Diabetes, Kennel Cough, Parvovirus as well as digestive, respiratory or urinary tract diseases. The factors that make some dogs more susceptible to some of these diseases are their age, health condition, environment, and breed. For instance, brachycephalic dogs such as French Bulldogs and Pugs are more prone to developing respiratory tract problems that cause difficulties with breathing. 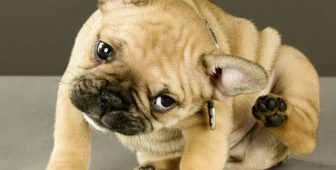 Some breeds such as Pugs are also more prone to having skin problems, while others might be more affected by allergies. However, most dogs experience some minor infections or tummy irritations at least once in their lifetime. That’s why it is very important for owners to know what to do if a dog has diarrhea or constipation. Some owners have also noticed blood in their dog’s urine, while this can also mean a more serious health problem, it can sometimes be the result of a urinary infection that is accompanied with frequent urination. On the other hand, there are other health conditions that have to be diagnosed on time in order to not take a toll on your dog’s life. If you notice sudden and dramatic changes in your dog’s behavior and energy levels, then chances are you have to start investigating what could be causing your dog to feel in such a way. Canine diabetes is a condition discovered in a large population of certain breeds over a certain age. This condition is however highly manageable despite being untreatable. The trick with diabetes is that dog owners often misinterpret the signs and overlook diabetes. Parvo is a dangerous disease that can often lead to death, especially in puppies and old dogs. Canine Parvovirus is usually easily preventable with responsible vaccination, but, unfortunately, vaccines do not protect dogs from all bacteria that cause this illness. Many diseases are easily preventable with vaccines that are created in order to make dog’s lifespan a bit longer and more stress-free. Your veterinarian will be the best point of reference when it comes to vaccination. If you want to ensure your dog is not at risk from worms, or fatal diseases such as Parvo, Distemper, or Rabies, you will have to follow a schedule of vaccination. However, vaccines can also bring side effects dog owners should be aware of. Breeding a dog properly might seem to be a breeze, but actually, it requires knowledge of how things work in the puppy world. It is crucial to understand that if bred irresponsibly, dogs can develop health issues or even die much younger. That’s why it is necessary to watch out at how many times a dog can be bred in its lifetime and to wait until puppies are fully grown. They should be bred only when their bodies have reached the necessary maturity. Knowing when to breed a female dog is crucial in having a successful mating episode. On the other hand, male dogs are required to go through several testings before mating with a female. Other, minor health-related questions often arise when having a dog as a pet. Noticing that your dog is limping might make you wonder how should pain in dogs be managed, or, your dog’s car sickness might get you thinking if there’s anything you can do to make driving less stressful for you and your pup. You will be able to find out more about situations like these as well as read more about alternatives to conventional treatments. No owner wants to lose their dog, especially not prematurely, so that’s why we’re collecting all of your health-related questions and are trying to answer them in the best possible way. Whether you’re asking yourself if you should euthanize your dog or are simply worried if your puppy is breathing fast while asleep, Barking Royalty with its team of vets will give you the information you need. 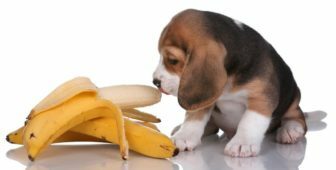 The key to having a healthy dog that will live long is to ensure him a proper environment and nutrition for healthy growth. How your dog lives depends entirely on you and your family members, so knowing what you have to do from the moment you welcome the young puppy in your home is crucial. Just like humans, dogs can develop gum diseases which can potentially lead to tooth loss. But how do you recognize it? Can you prevent it from happening to your dog? And finally, what are the treatment options for it? Dogs often suffer from the same or similar issues as humans. Likewise, medicine is usually similar. This is where CBD Oil steps in. The first thing that crosses someone mind when they hear CBD Oil is Cannabis. However, although there is a link between these two, it doesn’t mean that you will get your dog high with CBD. Read on and discover what is CBD Oil all about, and what is it good for. This disease transmitted by mosquito bites can be potentially fatal which is why a lot of dog owners wonder what are the best way to prevent it. The problem with it is that some factors that make this disease more likely are completely external and out of your control. However, there are things you can learn about heartworm that will make occurrence of this disease less likely. Your dog just threw up bile out of nowhere, and you are wondering if this is something you should worry about or not. While throwing up bile in dogs might be completely irrelevant to your pup’s health, vomiting too frequently is a sign that can indicate a variety of illnesses or diseases. Discover when you should bring your dog to the vet in this article! Yeast infections are quite a common skin condition that occurs in canines. Although yeast always inhibits our dogs’ skin, ears and mouth, excessive growth of it can lead to health issues that need adequate care and treatment. In this article, we’re telling you more about yeast infections in dogs and the ways they should be treated. Dogs often itch and scratch and that’s completely fine. But, there are times when scratching that’s too frequent indicates certain health problems. As a responsible dog owner, you should know to tell apart the wrong kind of itching from the normal itch. Read on and discover what could be causing your dog’s itchy skin and what you can do about it. What causes reverse sneezing in dogs? And more importantly is it harmful for your dog? In this article we will take an in-depth look at the phenomenon of reverse sneezing. Continue reading and discover if there’s anything to worry about. 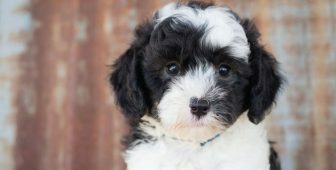 In this article we will go through your most frequent questions about male dog breeding problems, when should your dog start breeding, and what can you expect from the whole process. When is he too young or too old? Read on, and you will discover what it takes to do before mating when being an owner of a male dog. Although allergies in dogs are pretty rare, all dog breeds can still develop an allergy to food or other allergens throughout their lifetime. In this article, we’re exploring the main allergies your Bulldog could have, what exactly is causing them and what is the best way to treat them. Are you a Bulldog owner? Start reading and learn more!